I'm not a NYE gal at all, I treat the day like it's a normal day and have a cosy night in with the hubby. Don't get me wrong, I like getting dressed up and putting on all the sparkle possible, I just find the whole thing incredibly stressful and a bit of a let down to be honest. Everywhere is crammed leaving you no room to breathe and then trying to get home is just unbearable, walking about for taxi's then paying above the odd's for it... I think you get the point. I will be in my PJs sharing a bottle of champers with the hubs watching films and eating Chinese no doubt. 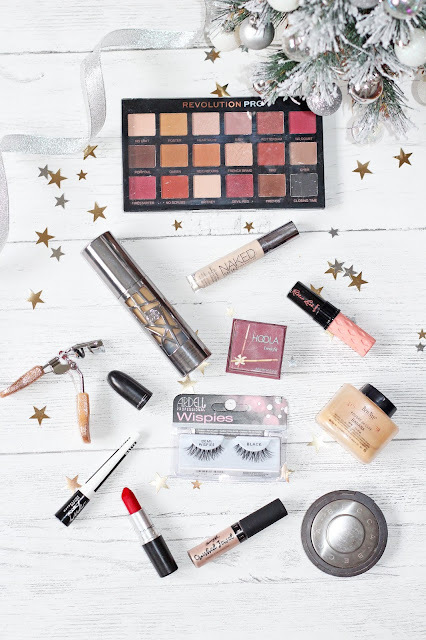 What is your go to NYE Make Up or will you be having a cosy night in like me ? I feel like most people stay in for New Year now a days as we are all just over it haha. A good setting powder and long-lasting base are essentials for a night out - hope you had a fab NYE!